Property Details: 2BR, 2BA Resort Home, sleeps up to 6. 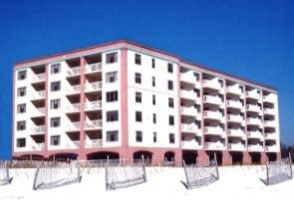 Beautiful beachfront vacation rental home at Indigo in Perdido Key. This beach residence has private balconies, with one overlooking the beautiful white-sand beaches of the Gulf of Mexico and another overlooking the Intercoastal to the north. Indigo Resort community amenities include an incredible 6,000 s.f. lagoon-style pool with zero entry and numerous water activities for children to enjoy, plus tennis courts, a fully equipped exercise facility, theater, outdoor BBQ grills, social room and more – enjoy the best beach vacation at Indigo Resort in Perdido Key Florida.